Winter 2016-2017 is here! And hold on to your hats, because it’s really going to kick into gear this weekend. It’s not even officially Winter yet, but we’re going to get hit with PILES of snow and frigid temps in the Washington DC and Bethesda, MD area. Hopefully you’ve been ready for quite some time now, but just in case you need to arrange for last minute snow removal services, here’s some help! If you own a business in Washington DC or Maryland, snow removal can have a big impact on your business roughly half the year. So it’s vital to make sure you hire the best commercial snow removal services to keep your business open and safe all winter long. This is not an area to skimp or try to take care of yourself. Doing so can be a dangerous and expensive endeavor if lawsuits come your way. What snow removal equipment does the contractor have? You’ll need more than a pickup truck with a snowplow to manage winters in the Mid-Atlantic. Big storms require heavy duty equipment to plow or relocate massive amounts of snow quickly in large areas like parking lots and roadways. And on the flip side, small equipment is needed for making intricate areas safe from slippery snow and ice. Good contractors have a wide range of tools and equipment to address a variety of property layouts and conditions. What services does the contractor provide? The best snow removal services automatically include initial property assessment, a written snow removal plan, adding snow stakes to mark hazards like fire hydrants, curbs or speed bumps, a variety of custom ice removal products and clearing every potential walkway at your property. If you’re only getting parking lot snow plowing, re-think your services for the best protection in a potential slip and fall lawsuit. Make sure the services offered meet your specific needs and property layout. How will the snow contractor communicate with you? Make sure you know when and how each storm will be approached so your expectations can be met. Find out if your contractor will notify you after service has been provided. How will they keep you up-to-date? When will services be provided? You may need your parking lot and walkways cleared by a specific time when you open each day. Make sure you get those details in writing. We always recommend a snow removal contract in writing. Are they licensed and insured? This seems obvious, but when you get a super low quote, it’s tempting to overlook licenses and insurance. Don’t just ask IF they are insured, find out for how much. Ask what happens if someone slips and falls on your property. Who is responsible if your property is damaged? Will the commercial snow removal company repair the damage? Make sure you understand your risk management options. Make sure they are legit. Even when a company looks legitimate, there is a risk. Check for reviews online. Ask for references. If a company is unable or unwilling to answer all your questions, move on. Which Washington DC Area Snow Removal Service is Best for My Company? Rasevic Snow Services provides every high-quality snow removal service mentioned above and more. Our team is experienced and well-trained. We take time to analyze the needs of your commercial space and develop a unique plan of service based on the information we gather. When you hire the best snow removal services, you shouldn’t need to worry about your business closing due to snow covered parking lots and walkways. 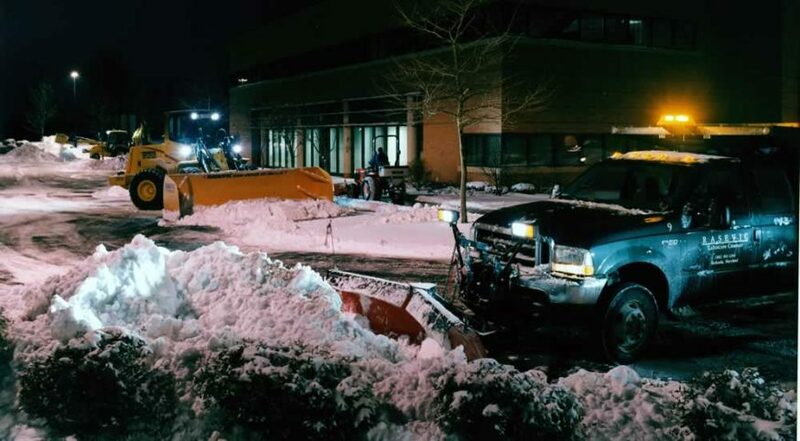 Contact us at Rasevic Companies today to get a free quote on your commercial snow removal services.